I finally received and hooked up this wonderful piece of kit 2 days ago and this is my first 24 hours review. I went to the dealer's shop (AV Designs) with a good hifi buddy of mine from Indonesia. The shop is actually in the same office building as mine and requested a demo on this unit again. Both James and Low were there and they were very accommodating despite I didnt arrange for an appointment first. I was there for 2 reasons actually. One is to demo this amp again. And the other is to check out their sale on various items. I can see at one corner number of boxes of AV amps, BD players and speakers ready to find a new home at a much discounted price. And I have to admit that I did not leave this shop just with this Bryston amp. The sale on the items was just too good to be passed. James and Low initially explained a bit on the unit as I had questions on those multiple headphone outputs. Frankly speaking, I never knew there were balanced headphones. However, just to reconfirm the experience I had in the show, I tested it with the PS1000 cans first. Sure enough, I was not dreaming during the AV show. In fact, it sounded even more natural this time. After discussing with them on some technical queries and commercial of course ...I told them that I would need to test the amp with my cans. They fully agree and did not hesitate to invite us to their shop the next day. So, I popped in again the next day with my Alessandro Grado. Part of me hoping that it will not sound as good with my cans to avoid me parting with about RM X380 and ditch my MF M1 HPA. And.... I lost the battle and succumbed to luscious Bryston . It still delivered such a lively and non-exhaustive listening session. And now the unit is hooked up to my system. This unit is built like a tank, a typical Bryston feature. I opted for the all black unit to match the rest of my black MF set up. The dimension L x W x H is 17 x 11 x 2.425 and weighs 5.3 kg. The volume and balance knobs are sturdily fitted and has the right amount of friction to gradually increase the volume in a smaller scale. Thw power, input and gain switch however are of an old school electrical switch which I dont particularly fond of but the MF M1 HPA uses the same switch too. On the rear, the RCA connection is of gold plated. The power supply connection is IEC and comes with a basic power cord with a UK 3 pin plug. The front fascia is a mix of modern and vintage look and for some might even say it looks a bit industrial. The blue LED power indicator is also soft to the eyes. Its a Class A amp but does not run really hot. In fact, my Class A/B M6i runs hotter. NOTE: there is also high and low gain switch to match your headphones. I am limited to use the RCA input and 1/4 stereo output. I hooked up the unit via the tape loop on my MF M6i integrated amp using QED RCA Signature series IC and QED Qonduit power cable. Gain was set to low. I was so excited with the purchase that I put aside the ‘run in’ principle. Hooked it up and immediately put on the cans and fired up Foo Fighters. Even out of the box, this amp delivered a very powerful yet subtle bass from the drummings on this track. Very detailed presentation in which the 'overlapping' drum beats can be heard on each note. After listening to this track, I went out for dinner and let it run in for 3 hours. In fact, the dealer did mention to me I can actually enjoy the high SQ even fresh out of the box. After 4 hours of running in, I started to run my playlist above. First up was Girl from Ipanema. The vocals on this track was somehow elevated and created a personal space to me. ONce the music came, it gave me a different experience compared to playing Foo Fighters. A very relaxing sensation kicked in due to ambience delivered by this unit. However, maybe because its FLAC file, the volume seems a bit lower compared to playing Foo Fighters. I tried switching the gain to high. It did increase the volume level up a notch but I loose the subtlety that I was enjoying. So I wswitched back to low and increase the volume to about 10 o' clock. Previously it was at 9 o' clock. With power output rated at 1 W into 32 ohm, it can easily drive my cans. Next up was Andrea Bocelli and Sarah Brightman. This track has always been one of my favourite track for reviewing as I measure the performace of the unit tested against Andrea's and Sarah's vocals. Both of their vocals compliment each other to have a balanced tone (high and low pitch). 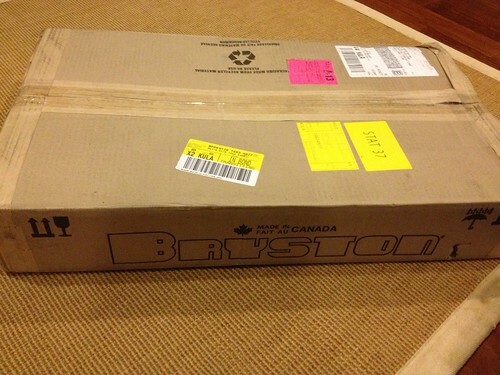 And sure enough the Bryston delivered this flawlessly. This was one part of where the MF M1 HPA having difficulty to deliver the balance for this track. I then went back to a FLAC file Hotel California. Listening to slow rock and in this live performance by the Eagles is even much more soothing. The live ambience was delivered by the Bryston through my cans that made me feel that I was at the concert and audience are supplied with a personalised headphones. The drums and guitars on this track was so refine and detailed out that you can here every single strumming and plucking the Eagles. This was one track that I repeated thrice just because it sounded too good to be true that I had to confirm and reconfirm the statement I made above. And each time, the Bryston just keep presenting a lively experience. I went through all the tracks again using the P5 headphones. Unfortunately, the pair didnt give me the same satisfaction. This made me further believe that just like speakers needs to match the amp, headphones are the same. I am not saying the P5 are not good headphones but it just didnt rhyme nicely with the Bryston. A bit on the harsh side. So there you go. A solid performer this amp is. Is it worth the price? I strongly believe so. Will I let go of my MF M1 HPA? Not so soon. It will do some office duties first. 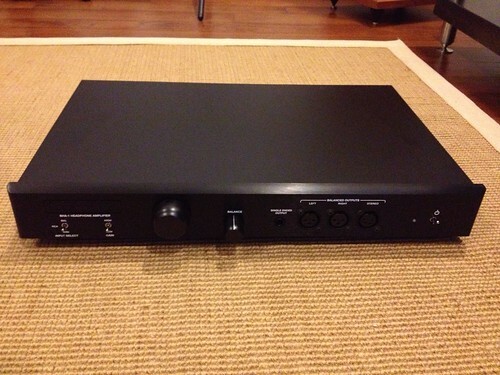 Will I recommend this amp for head-fi-ers? Definitely with a word of caution. Demo it before purchase with your own cans. But now I am curious how would a balanced headphone sounds like????? Will there be another quest for a new pair of cans after the Alessandro? After a week of daily listening to this unit, I have completely fallen in love with its right combination and balance of clarity, openness, detail and high/low ends. Another test I did is listening to vinyl through this amp. Listening to vinyl through this amp just make the experience more wonderful and involve. Just like my M6i integrated amp, I need to crank up the volume to about 12 o' clock to get a decent volume through the Alessandro.I also have to switch the gain to high on the amp. And with the courtesy of our resident forummer, I have been able to compare Stax ear speakers (balanced headphones) and my Alessandro single ended. Stax needed its own amp because the jack, unusual (to me) is a 5 pin XLR which will not fit into my Bryston. But nevertheless, I have now experience a balanced headphone. Comparison (not review) is coming up.